Burlington, Vt. - Firefighters and lawmakers came together to recognize the passing of a bill that will cover mental health under worker's compensation for first responders Thursday morning. International Association of Fire Firefighters Vice President John 'Jay' Colbert explained that from witnessing horrific emergencies and enduing extreme stress, first responders are two times more likely to develop Post Traumatic Stress Disorder. He said those with PTSD are six times more likely to commit suicide. "This truly is a historic day," Colbert said. 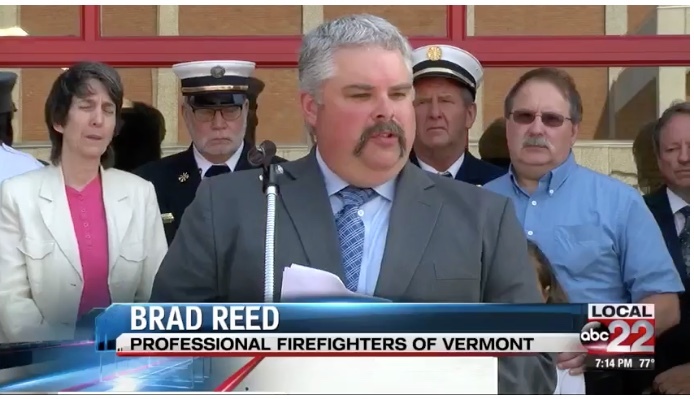 "On behalf of the 304,000 firefighters across the United States and Canada I want to commend the people, the legislators and the emergency responders in the state of Vermont for leading the way." Vermont is the first state in the country to pass legislation to treat mental health injuries as any other injury for first responders. go here to watch video and let them know you support this!